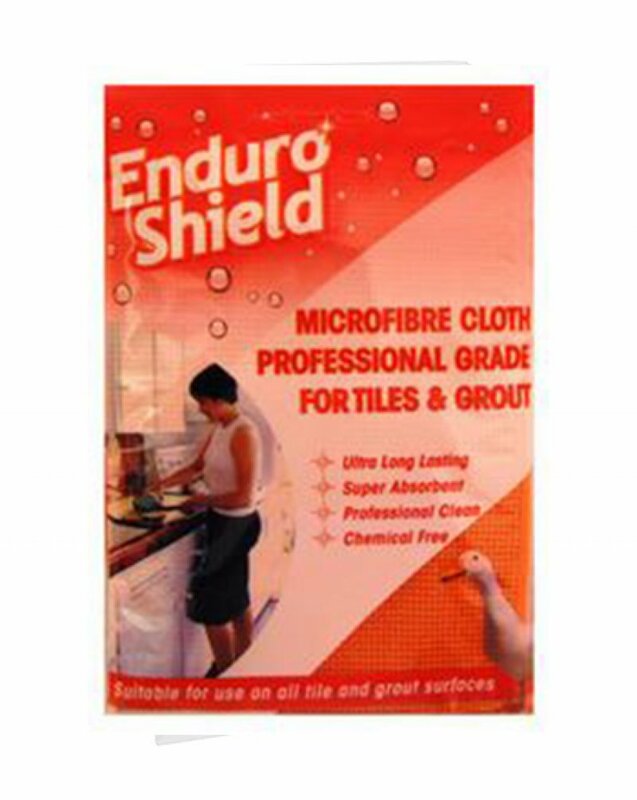 The Professional Grade Microfiber Cloth for Tiles & Grout is a bright orange colour with a short, very tough pile. The cloth has been designed to achieve long-lasting results even when used on harsh surfaces such as grout or uneven tile surfaces. For this reason the cloth isn’t as absorbent as the other ones, which is why the cloth performs much better on surfaces that are only slightly wet. Try using a squeegee first to get rid of most of the water, and use some vinegar on the cloth for any particularly tough stains. As with the rest of the cloths, wash regularly for optimal performance.